Enjoy Utah! 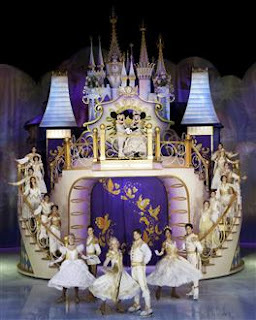 : ENTER TO WIN Disney On Ice tickets! ENTER TO WIN Disney On Ice tickets! Disney On Ice: Dare To Dream is coming to the Energy Solution Arena March 6 - 10, 2013, and we have your chance to win a family four-pack of tickets! Go to the Enjoy Utah and/or Gines Auto Service Facebook page to enter to win. (Entering on both pages increases your chances of winning!) MOBILE USERS use these links: Enjoy Utah and Gines Auto Service. Remember, you always get extra entries for referring friends, so make sure you share the link after submitting your entry! Deadline to enter is Monday February 18th 2013 at 11:59pm. Winner will be notified on Tuesday February 19th 2013. Family four-pack of tickets are good for the following Disney On Ice performances at the Energy Solutions Arena: Wed. March 6th at 7pm, Thrs. March 7th at 7pm, or Friday March 8th at 3:30pm. Winner will be given 4 vouchers that can be redeemed at the box office for tickets on any of the dates listed above. Only one entry per person every 24 hour period. The winner will have 24 hours to respond to email notification and claim their prize. If they do not respond within the 24 hour time period, a new winner will be chosen. We will not be held responsible for missed email notifications due to junk/spam email settings, loss of internet service, limited access to email, or any other reason why winner may have missed the email notification. By using this code, MOM, at checkout readers can receive discounted tickets for the Thursday at 7PM, Friday at 3:30 PM, Saturday at 11:30 AM, Sunday at 1:30PM and 5:30 PM performances, for ticket levels of $23 and $16. My girls want to go so bad! I would just go cut her hair but I am scared! I like this route much better :) Plus then our whole family can go.